When you buy a tub of sour cream for a recipe, the leftovers often get shoved to the back of the fridge and forgotten. Here are some better ideas for using the last of that sour cream, long before it grows fuzzy. Fold a couple of spoonfuls of sour cream into your go-to biscuit recipe for flakier biscuits. This trick also works wonders for pancakes. But don't stop there. Incorporate sour cream into cake and muffin recipes, and they'll turn out more tender and flavorful. If you have a recipe that seems over-the-top sweet, adding sour cream is a great way to tone it down. Upgrade your favorite deviled egg recipe by using sour cream in place of the mayo. It'll give the eggs a richer, tangier taste. Swap in sour cream for some—or all—of the mayonnaise in pasta and potato salad recipes. Try a 50-50 mix of mayo and sour cream for the best of both worlds. Combine your leftover sour cream with a pouch of ranch or French onion dressing mix to make a quick dip to enjoy with fresh veggies or chips. Make your own dressing mix if you're trying to stay clear of store-bought mixes. 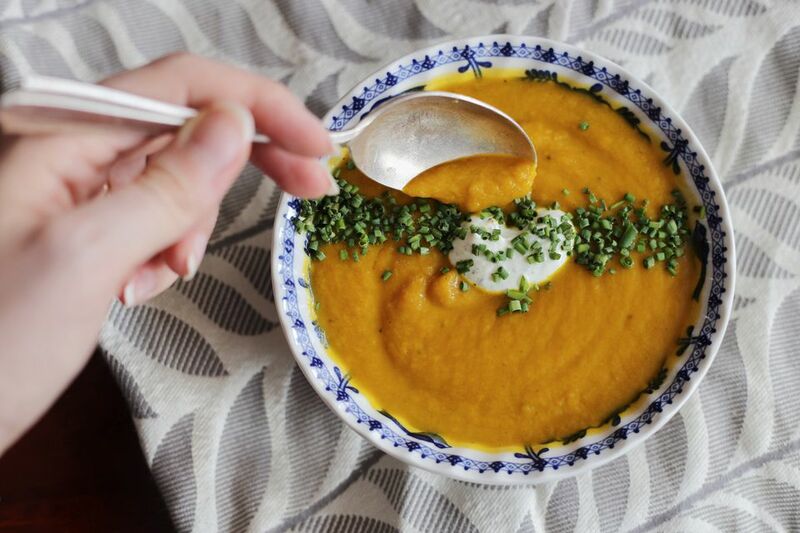 A spoonful of sour cream is always a gorgeous garnish for creamy vegetable soups and can be used to dial down too-spicy chilis. Try sour cream instead of mayo on sandwiches. The tangy flavor will enhance the experience, especially with rich meats like roast beef or pulled pork. Eggs for breakfast or eggs for dinner, each can benefit from the added creaminess and luxury of a spoonful of sour cream. Stir it into the eggs, while you're cooking them, or add a dollop just before serving. Think of sour cream as the tangier cousin of the butter you probably put on your pancakes now. It's especially well-suited to savory pancake and crepe recipes. Sour cream is usually good for about three weeks after it's been opened. If you're too busy to make anything with your sour cream now, freeze it until you have more time. While freezing changes the texture of sour cream, the difference is undetectable in cooked dishes. Just tuck the tub in the freezer until you get some free time or discover you need it for a recipe. You can use the leftover sour cream as the starter for a fresh batch of sour cream. Give it a try, and you'll be amazed at how easy it is to make your own sour cream, and how much better it tastes than the store-bought stuff. It only takes two ingredients and about a minute of your time. If you never seem to have sour cream on hand when you need it, or you always struggle to figure out what to do with the leftovers, consider switching to powdered sour cream. It can be reconstituted just like powdered milk whenever you need it and in whatever quantity you need it. You probably won't find it in your local grocery store since it's sort of a specialty item, but it's easy enough to order online. Think about adding powdered buttermilk and powdered heavy cream to your pantry too. It's nice to have on hand, and it frees up space in the fridge.